Explore how our Values reduce pet health care costs . . .
Dr. Pamela Gerds opened her practice with a belief simply described as: "Practicing Pet Medicine Right." Combining "Advanced" high quality, veterinary medicine & technology with a warm "Caring" space for pets and their people. Advanced Care clients never worry about unneeded tests, wacky diagnosis or endless treatment of symptoms which never seem to clear up. Here, advanced diagnostics help accelerate care & treatment options, so you and your pets can get on with your lives. We believe in providing only the health care services your pet requires. We believe in preventative care to minimize costly long-term health issues. We believe in treating the root cause of your pet's symptoms, not simply treating symptoms themselves. We bring a holistic view of your pet's overall health care in line with your wishes as their caretaker. By "holistic" we don't mean new age crystal cures and essential herbal oils but rather, understanding the big picture of what's going on with your pet's health. We ask questions about your pet's diet, their environment, their health and prior treatment / medication history. From what we learn, we provide a recommended treatment plan and help you decide on a path you wish to pursue. Practicing pet medicine right means having the lowest cost prescription food in the region so you're not afraid to buy the right prescription diet for your pet's condition. It means being here seven days a week to better serve you. We believe in honesty, mutual respect & open communication. We believe in making our precious time available for you and your pet's health care. Folks like you, who believe what we believe, discover quickly they save a bundle here. Clients save because Advanced Care does not diagnose creative ways of extracting money from pocket books. Practicing pet medicine right means paying only one annual exam fee, regardless of how many boosters are needed the rest of the year. It also means testing your pet's poop when you suspect you have a problem, not every time you walk in the door. Our staff doesn't receive a commission on sales. Can you "feel" the savings yet? Clients save money here because we educate you on your options. Clients choose the option that is right for their situation without guilt or pressure to spend more. We believe you have a say in the level of health care you wish to provide your pet. In our personal lives we find that we get what we pay for, we believe excellent quality service need not be expensive. No, we're not the lowest priced veterinary clinic in St. Cloud or Central Minnesota, however many clients agree and will tell you, they find true value here. If you believe in what we believe, we invite you to come explore the reason more people recommend Advanced Care Pet Hospital to their friends with pets. We believe in only recommending treatment plan options that we would provide our own pets. We believe in caring for people who truly care for their pets. We believe in treating you the way we like to be treated. 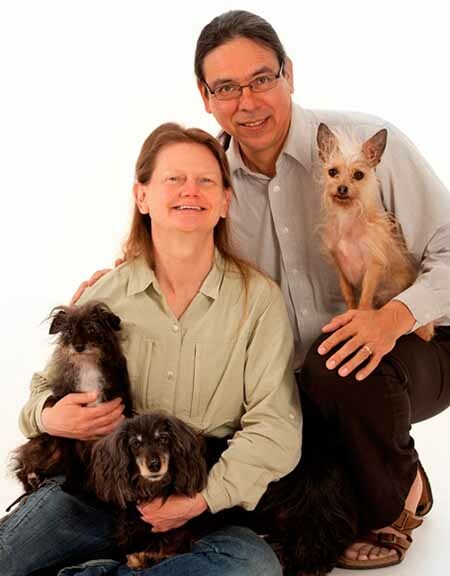 Our doctors and staff take the time to fully explain your options when it comes to your pets health care. They honestly care about the well being of your pets. Many of our clients recognize a difference in the quality of service delivery when they bring their pets here. Advanced Care knows your pet's health is important to you. We affirm your right to afford the quality of care your pet deserves. You decide the appropriate treatment course for your pet. "We don't treat you or your pets like animals" we treat nice people nicely and offer recommended alternative providers for the haters. Our clients find this a refreshing perspective. More people have come to trust the brand of pet health care Advanced Care Pet Hospital practices. From day one, the goal was to create a warm, welcoming place where people would not hesitate to bring their pets back due to cost or quality concerns. This is the foundation behind one annual exam fee regardless of how many boosters needed, free rechecks for previously diagnosed conditions and reasonable dental cleaning rates. Advanced Care Pet Hospital opened on December 17th 2009, in the depths of the deepest recession in recent history. Dr. Pamela Gerds and husband Tom, went from idea, to open doors in 9 months, doing so on time and on budget. Planning began around Easter, construction began September 11th, 2009 and doors opened just days before Christmas. The couple previously lived in Nowthen Minnesota, near Elk River. The planning and hard work is being recognized as Advanced Care Pet Hospital has consistently received warm, positive 5 star Google reviews for a veterinary clinic and pet hospital in Saint Cloud Minnesota since opening. Advanced Care has earned a reputation as an honest, friendly, down-to-earth veterinary practice, with emphasis on customer and patient Care. Care is the operative word from a service perspective. Advanced Care Pet Hospital first made the commitment to be open 7 days a week in October 2016. Our vet first greeted us by hugging our cat. The "office guy" was also very friendly and kept referring to the cat as our "kitty". I can tell the staff really loves animals and we had a fantastic first experience there. Dr. Gerds was very straight forward with us and didn't push us to spend more money than we needed to. We'll be coming here for our veterinary needs from here on. Where did the name Advanced Care Pet Hospital come from? Dr. Gerds literally woke up after a dream one morning and pronounced the name clear as a bell. "Advanced Care" says it all in two words. "Advanced" on-site diagnostics + a caring attitude towards clients and their pets. And the Street Number: 911 Scout Drive? Scout, was the name of our long haired miniature Dachshund pictured on the home page. When "scouting" locations, we found Pine Cone Market Place and happened to turn on Scout Drive when we saw the round barn. The "911" street number was given to us by the City of Sartell. As a Pet Health Care provider, the 911 street number truly is a fitting touch since we make an effort to get sick pets seen as soon as possible.